How Does Child Support Affect My Taxes? We often get the question, “How does child support affect my taxes?,“ in our Tampa family law office; and, we’re happy to answer it. Child support payments are neutral to the IRS, meaning that the payer does not receive a deduction and the payee does not need to pay taxes. You do not need to reference any child support payments on your IRS Form 1040. For tax matters, it’s very important that your divorce and custody agreements distinguish between child support and alimony. Why? There can be a huge difference in the amount of federal income taxes you are required to pay. Child support is not taxable and not tax deductible. Alimony is taxable and is tax deductible. Alimony is taxable to the recipient and tax deductible to the payer. Be sure you fully understand the income tax consequences of any child support, marital, or alimony settlement agreement before you sign. Which Parent Claims Child as a Dependent and Gets Child Tax Credit? Being able to claim a child (or children) as a dependent can provide significant deductions and child tax credits on your federal income tax return. The general rule is that you must provide 50% or more of a child’s support to claim the child on your income tax return. Often, a legal agreement is created dictating how the child is to be claimed on tax returns. The IRS allows such an agreement if you follow their rules. For example, some parents may split the deductions. If there is one child, each parent takes the applicable deduction and child tax credit every other year. If there is more than one child, the deductions and credits can be split between the parents. The IRS Form 8332, signed by the custodial parent, must be attached to the noncustodial parent’s income tax return to allocate the deduction and child tax credit to him or her. If legally separated or divorced, both parents cannot claim the same child as a dependent. In other words, the same child cannot be claimed more than once on an income tax return. Contact Us With Your Child Custody Law Questions. 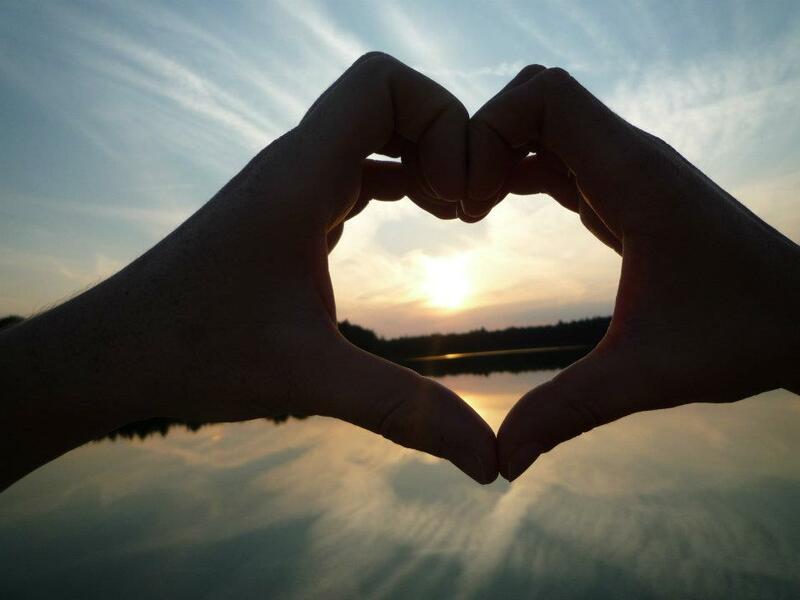 Hubbard House is the only certified domestic violence center serving Duval and Baker counties. 35 years ago, Hubbard House opened its doors of their very first shelter. They were a leader in the woman’s movement and in developing services focused on gender violence. Since then, Hubbard House has grown to offer services not only for women, but also for children and men affected by domestic violence. They have remained a leader in the field and have received both state and national recognition for their efforts. Hubbard House mission is “Every Relationship Violence-Free”. They also reach out to the community to educate youth and professionals in related fields to raise awareness in Duval and Baker counties. The staff and volunteers at Hubbard House serve on numerous committees and task forces that aim to change the community response to domestic violence. You can learn more about them on the Hubbard House Services page. There are many ways you can support Hubbard House, from donating slightly used goods, your time, services or money. If you’d like to learn about how you can get involved, find more information on the Hubbard House “How to Help” page. Hubbard House also has fund raising and awareness raising events throughout the year. Get more information to walk or get involved with the next Hubbard House event – their 3rd Annual Setting the Pace for Peace Domestic Violence Awareness Walk on March 31st. You can Connect and Share Hubbard House information on Twitter and on Facebook. How Old Must a Child Be to Decide which Parent to Live With? As Jacksonville family law attorneys, we find that our clients often believe a pervasive myth regarding children’s age and choosing which parent they want to live with. Have you fallen prey to this myth? MYTH: At age 12 and older, children can determine which parent they wish to live with, during a contested Florida custody case. TRUTH: Only at age 18 can an individual choose where or with whom he or she lives. While the Florida courts do consider the child’s wishes, they are absolutely not determinative. The courts weigh many factors as required by law and the child’s expressed wishes are only one factor out of several. The older and more mature the child, the more the courts weigh the child’s wishes. The more “reasonable” the child’s wishes, the more weight they have. The court considers “the best interests of the child,” when determining which parent the child lives with in a contested custody case. The child’s exposure to second hand smoke. The parent’s work schedule and availability. The willingness of the parent to allow child to communicate with other parent. The established lifestyle of the child. The health (mental and physical) of each parent and the child. The age and gender of the child. Whether there is any history of child abuse. The established relationship with the child. The ability to nurture the child and provide guidance. The ability to provide for emotional and physical needs of the child. The quality of schools available. The child’s living situation preference. If these factors make it clear which parent should be awarded custody, the court makes its decision accordingly. Which parent will provide the most stable environment? When determining the most stable environment for young children, the preference is for custody to remain with the primary caretaker. While we use the term, “custody,” in this article because our clients do; however, Florida no longer uses the term “primary custody” anymore. The terms “majority timesharing” and “parental responsibility” are used instead. We point this out so that you better understand the current family law terminology and how it applies to your life. Contact Us For Your Custody Consultation. Dorsey Law Firm is committed to supporting all of those involved with the improvement of our community. Each month we will be hi-lighting a local non profit, organization or business. We hope you enjoy getting to know a little bit more about these gems and feel free to share the information with your network. We’d also like to know of your suggestions of organizations you see doing good in our community. There are tons of non-profit organizations in Jacksonville. One that we see very active in the community, creating events as well as spreading awareness and education is The Juvenile Diabetes Research Foundation (JDRF) North Florida. The JDRF goal is “to ensure that scientists have the continued funding they need in order to progress research to a cure for type 1 diabetes and its complications, and to ensure that every newly diagnosed child / family living with type 1 has the resources they need to live a healthy, happy and controlled lifestyle.” They strive to reach their goals as well as build a supportive community in North Florida through a variety of programs and events. 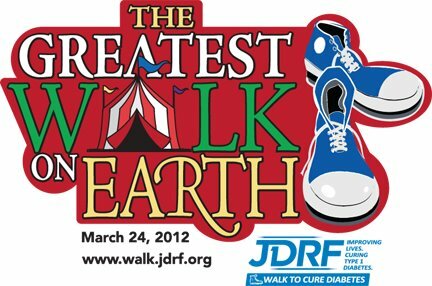 The 2012 Walk to Cure Diabetes on March 24 will be at the Jacksonville Fairgrounds. 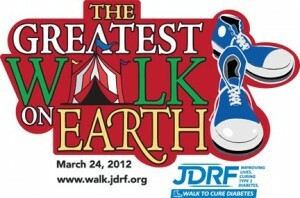 This year’s Walk theme is “The Greatest Walk on Earth”. Check out the Family Team Resources or Corporate Team Resources to learn how to get started, to fundraise for your team and to find more information on their t-shirt contest. The Walk is designed to raise money for the JDRF as the mission of the Foundation to find a cure for type 1 diabetes and its complications through the support of research. There are so many ways to get involved. You can join a team and walk, you can create a team, sponsor the event with your business or just donate to a team. Find out more info at the JDRF Walk homepage. The Kids School Program brings parents, educators and students together to rally the support of area schools through their own Kids to Cure Diabetes program. The program empowers and demonstrates to students that even as children, they can have an impact on others lives. A few of the options are for schools to conduct a school mini-walk, hold Mini-Fundraisers, or sell Paper Sneakers. You can keep up with JDRF by connecting on Twitter @JDRFNorthFlorida and on Facebook.